This section is separated into 6 sections, click the section below or simply scroll down to view the FAQ's. Q. As a seller, I may not want to reveal my exposure to a certain company in the public domain. How can I maintain confidentiality? A. Only the Successful Bidder will know the identity of the Seller, and such Bidder will be bound by the standard confidentiality agreement. Q. As a seller, the institution I represent will want to know the identity of the buyer therefore why is there a need to provide the anonymity feature? A. The Seller should only need to know the identity of the Successful Bidder, and the Seller retains the right to reject the highest Bidder. Q. After I complete a sale or buy, my identity will be known to at least the other party? A. Both Seller & Buyer can change their User ID after any transaction to ensure anonymity thereafter. Q. 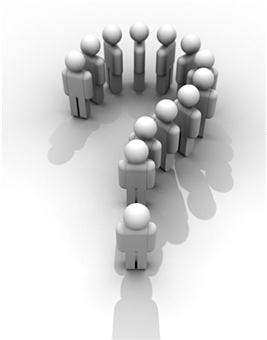 How can I maintain anonymity in the case of the Buyers needing to conduct a due diligence? A. On occasions for debt to be sold it may be well known to the buyer, therefore they will not need to proceed beyond the standard public information. Of course, other loans or opportunities will be less known and the seller must decide whether to provide such documents, which in turn may reveal the sellers identity. Q. As a Seller, how can I be sure the Bidder is someone acceptable to my Board? A. e-debttrading.com and its affiliates conduct quite stringent examinations of all parties before allowing to register on the Site. In addition, the Seller is entitled to exclude certain groups when submitting the initial tender. Finally, the Seller has an opportunity to reject the Successful Bidder after the tender closes. Q. How can e-debttrading.com ensure that all registered users are reputable parties? A. As mentioned above, e-debttrading and its affiliates will conduct stringent evaluations before issuing a User ID, including background checks, including the engagement of professional intermediaries to conduct international risk assessments. The debtor company will be excluded from buying back its own debt and individuals will not be registered as users. Q. How can the Seller be sure there is no legal breach of confidential information? Q.Upon closing of a tender, how will e-debttrading.com monitor the close and ultimately the settlement of the transaction? Q. What happens if both parties cannot close the contract as 1) market forces affect value of debt between the close of the tender and settlement, 2) the buyer or seller changes their mind about the pricing? A. If there is a shift in market sentiment that has a direct effect on the valuation of debt, e-debtrading.com and affiliates will evaluate such situations on a case-by-case basis. If necessary the tender will be withdrawn and re-tendered at a later date. Q. What happens if, as a Bidder, I insert an incorrect bid? A. If the bid is too low the system will reject the bid automatically. In the case of a keying error, the bid amount is entered twice as a protection device. If, early in the bid, you still make an error, we can unwind the bid and advise all other bidders accordingly. Q. How do you counteract certain users jamming the site right before the tender closing time in order to win the tender? A. As each bid takes a millisecond to be recorded, it should not provide a problem. In the case of absolute simultaneous bids, the system will reject one bid and accept another bid. If your bid is rejected you can lodge another bid. In addition, should anyone bid in the last 5 minutes before the tender closes, the tender will automatically extend for a further 5 minutes. Any bids made in the extended timeframe will cause the tender to extend a further 5 minutes and so on. Q. Can I sell a portfolio of loans on this site, and if so, how do we handle the due diligence aspect? A. The site lends itself well to a portfolio sale, although we are currently developing another section of the website purely devoted to portfolio sales, in either a closed or open tender scenario. In terms of due diligence, the Seller has the option to provide a dataroom on site or at e-debttrading.com, or we can arrange for the creation of a virtual dataroom. e-debttrading.com and its affiliates has arrangements in place with professional portfolio advisers who advise how to best prepare the portfolio for sale, as well as capture the data on a efficient software system for use by buyers. Q. If selling a portfolio, maybe price is not the key aspect of the transaction. Can we obtain bids that incorporate special features such as profit share? A. As portfolios will not be treated in the same manner as individual debts, the system can invite different approaches to the debt offer.